Hit mainland period drama "Nirvana in Fire" or "Lang Ya Bang" is proving to be popular among Taiwanese viewers, providing the latest example of cross-Strait TV success, according to a report by Xinhua. The drama is a tale of revenge and political struggle among the royalty of an ancient Chinese kingdom. It airs daily on Taiwan's Chinese Television System (CTS). The first of the 54 episodes of "Nirvana in Fire" was shown on Nov. 3. It has consistently been on the top three when it comes to primetime audience ratings in Taiwan. 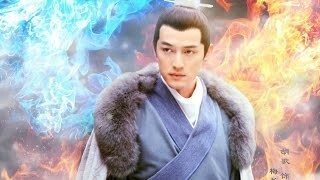 "Nirvana in Fire" was even able to maintain its success on Tuesday and Wednesday when it had to compete against live baseball matches involving a Taiwanese team. "We expect the audience rating to continue to soar as the storyline unfolds," Frank Teng, chairman of CTS, told Xinhua. Crossover successes are rare. The last successful TV show to cross the Strait was in 2012 with "Empress in the Palace," which had high ratings during its premiere and has enjoyed several reruns in Taiwan. CTS approached the producer of "Nirvana in Fire" even before the drama debuted in the mainland. It began airing in Taiwan around two weeks after the final episode was broadcast in the mainland. In the 1980s and 1990s, Taiwan exported several TV dramas to mainland China. However, the trade has since reversed, with mainland dramas catching up with the quality of their Taiwanese counterparts. According to Teng, many Taiwanese TV stations have stopped producing period dramas due to high costs. It has also become difficult to find shooting locations on the increasingly modernized island. Period shows have a much better track record crossing the Strait than dramas set in modern times due to greater social and political compatibility. "People across the Strait share similar views on ancient China and history. We indeed have the same ancestors and traditions," said Teng.